We Help thousands of children to get Educated while providing them skills in Peace keeping, Basketball, Tolerance and teamwork. Provide the Funds (N50,000 minimum) to host a one day BB4P Competition in your NAME. Six BB4P Teams will compete in a single round robin competition. Each player will receive either N100naira for a lost or N200naira for a win. Each team will play five matches each. To have a PEACE ZONE in every Local Government Area of Nigeria (774); a BB4P Network in every State (36) and an African Annual BB4P League to constantly remind everyone that ‘PEACE MUST REIGN’ The Formula for building sustainable BB4P Networks are ‘three’ (3) 'Six' and the ‘KEY’ is many Local Sponsored Peaceful-Competitions. 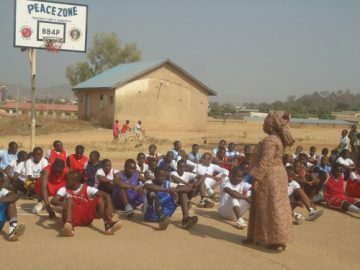 Basketball for Peace (BB4P) is the only tested NGO Project bringing people and communities together in a sustainable atmosphere of PEACE. A PEACE MOVEMENT IN MOTION; YOU, BB4P and OTHERS with new IDEAS are the ENGINE that makes BB4P an attractive project for Youth development and growth. Providing skills in mediation for “peace to reign”. 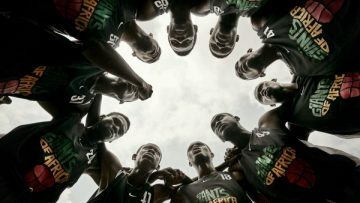 Basketball, Early Warning System and food security. All of this within your resources (cheaper) than the cost of any destructive (negative) conflict. 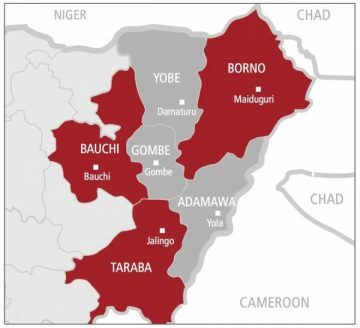 Presently BB4P has established more than 50 PEACE ZONES in more than 30 Local Government Areas in 16 States in Nigeria. Start a PEACE ZONE and give up your birthday. We focus on “one to one” or “one to few” type interactions. Which eventually address societal problems. You can make a gift of one basketball to a peace Zone or donate equivalent of the cost. This can be done in either cash or kind. Identify a PEACE ZONE and assist them with their needs i.e. basketballs, nets, Uniforms, shoes, rule book, Customize BB4P Upright etc. This section provides you with insight into some of our programmes; past present and feature..